I t is a new on-line newspaper that covers Faces, Issues (Business, Children, Conflict Resolution, Connectivity, Education, Environment, Eyewitness, Health, Opinion, Politics, United Nations), World Affairs, Lifestyle, and the Arts (artists, culture, dance, film, fine arts, literature, music, museums, theater). The Stewardship Report has grown out of my writings for the Huffington Post, Daily Kos, and New York Times on Thought Leaders and Global Citizens. I am enormously pleased that the Report has been so warmly received. It has been just over one hundred days since a massive earthquake struck Haiti. In just 35 seconds, more than two hundred thousand lives were lost, tens of thousands of people were left homeless, and many government ministries were destroyed. Here at the U.S. Embassy in Port-au-Prince, we lost seven members of our team, both Haitian and American, and all of our employees lost family members and friends. We sat down on our veranda to have a Coke when the earth began to shake violently. My wife and daughter were upstairs. I ran outside and began screaming to my wife, but she could not hear me. I learned later that she had been screaming desperately for me as well. Somehow the house stood, and my family was spared. The water pipes burst and the house was flooded, but most people lost their homes – and many their families. What we lost was nothing by comparison. I am only able to write about those who will talk to me. To date, I have spoken with and recorded the thinking of thought leaders such as Donald Rubin, Vishakha Desai, Harry Belafonte, Peter Yarrow, Queen Silvia of Sweden, Peter Buffet & Angelique Kidjo, Bill Clinton, Michael Douglas, Phil Donahue, Ban Ki-Moon, Wynton Marsalis, and Yoko Ono. 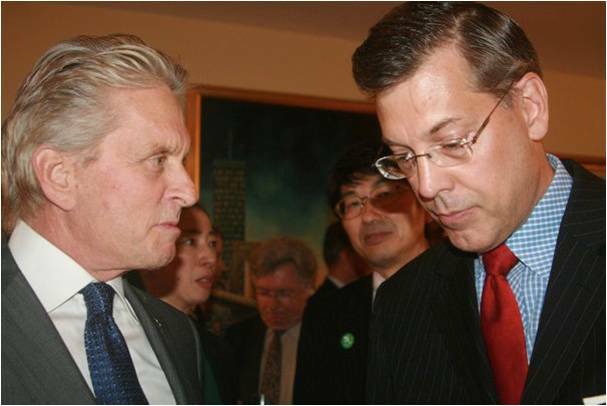 Speaking with actor/director and activist Michael Douglas about nuclear disarmament.A highlight of The Stewardship Report is The Luce Index. The Index ranks thought leaders and global citizens on ten confidential criteria which collectively indicate the individual’s ability to create positive social change. The theme of the Stewardship Report is Connecting Goodness and the Index ranks leaders in their ability to do so. 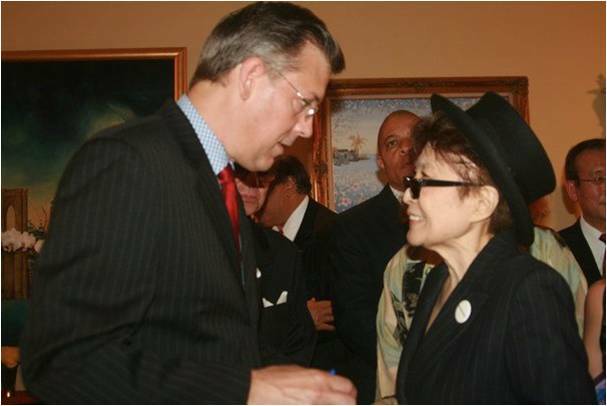 Chatting with the legendary Yoko Ono Lennon about racist anti-immigrant policies in Arizona. 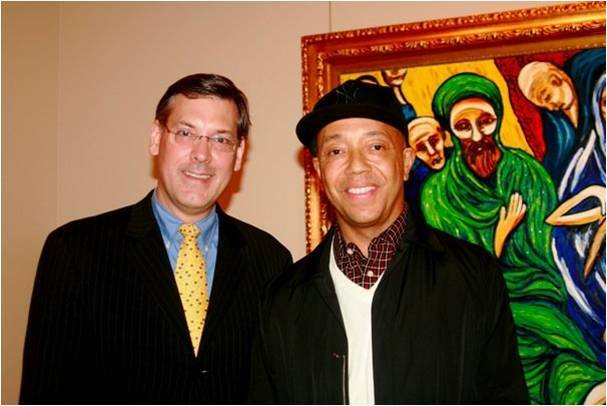 Discussing contemporary art and the African Diaspora with hip-hop mogul Russell Simmons. 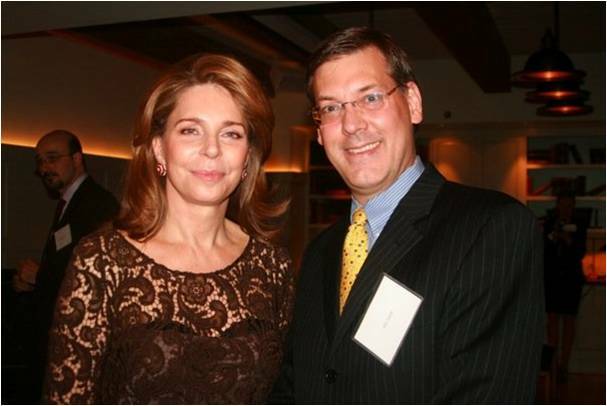 Learning about Islam and cross-cultural connectivity from Queen Noor of Jordan. 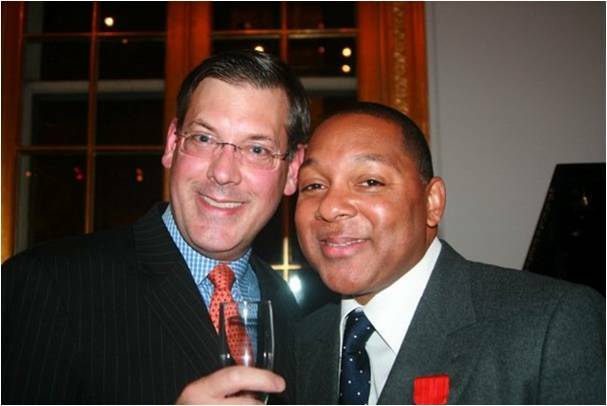 Celebrating Wynton Marsalis’ Legionnaire’s Award at the French Cultural Institute.Originally published in The Huffington Post, May 6, 2010.